when you repair with ASAP. all common and most boutique brands. We understand the inconvenience of appliance problems, so we book same-day appointments whenever possible. We keep our vehicles well-stocked with common appliance parts to get the job done in one trip as often as we can. We guarantee every appliance repair, so if something goes wrong within a year after we’ve repaired your appliance, we’ve got you covered. 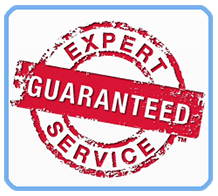 If the problem is related to the original repair, we’ll make a second visit to resolve any issues at no cost to you. Quality workmanship and a friendly service experience are the trademarks of our service. All of ASAP’s technicians are thoroughly screened and receive extensive training from our head technician before running service calls independently. ASAPpliance Repair employs appliance technicians throughout the Houston metro area and is able to provide same-day service on most days. Our expert and professional technicians and simple, transparent policies set us apart from other repair services in the Houston metro area. In the end, our goal is to become your trusted source for appliance repair in Houston by providing the world-class appliance service experience. 1. Same-day service is typically provided when you call before mid-day. Our standard operating hours are Mon – Sat: 8am – 5pm, with emergency and holiday service available. 2. Convenient three-hour service windows — and one of our technicians will reach out to you prior to driving to your location. 3. Only the most experienced appliance technicians. Each of our technicians is EPA-certified and is extensively trained to ensure that they are properly prepared for all appliance problems. Of course, each technician undergoes a thorough background check for your peace of mind. 4. First-class customer service. We believe that a great customer service is an essential part of the appliance repair service, so when you call us you’ll never encounter confusing call menus or extended hold times. From the person who answers your phone to the technician who repairs your appliance, we guarantee a friendly service experience. 5. We offer simple pricing and transparent warranty terms. 6. Undecided on whether to repair or replace your appliance? We can help. We also offer expert tips for extending appliance lifespan and improving energy efficiency. We provide service to everything inside the Beltway and including North and West Houston. To the north, we service up to The Woodlands, and we service west to Katy, including Sugar Land and Missouri City. 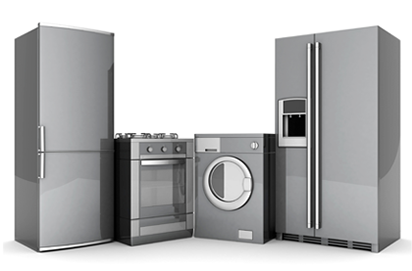 We offer most appliance repair services: refrigerator repair, freezer repair, dryer repair, washing machine repair, oven repair, stove repair, range repair, and garbage disposal repair. Our technicians are experienced in working with all major brands, including Kenmore, GE, Whirlpool, KitchenAid, Maytag, Jenn-Air, LG, and Samsung. We also service most boutique / high-end appliance brands such as Sub Zero and U-Line. APPLIANCE TYPES WE DO NOT SERVICE: microwaves, small appliances, trash compactors, and walk-in coolers. BRANDS WE DO NOT SERVICE: Asko, Dacor, DCS, Fisher & Paykel, Gaggenau, Manitowoc, Miele, Thermador, Wolf and Viking. Need more information to decide? Check out what distinguishes us from other appliance service outfits. Ready to set up an appointment? Call us at (281) 973-7040 or book online today!